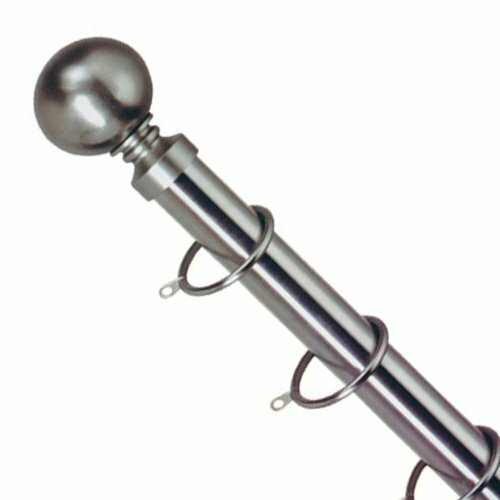 26/28mm diameter telescopic metal curtain pole set complete with rings, brackets and ball finials, available in two lenghts: 120cm – 210cm (47in – 82in) and 180cm – 340cm (70in – 133in) and two finishes: brushed silver and antique brass. Spare rings available. From Emma Barclay’s “Lifestyle” collection.